We are pleased to once again bring you a new edition on the Fourth of the month! This edition is filled with Holiday things, Sci-Fi (both television and information about the InSight), with of course a little bit of everything thrown in and some moving pictures to distract you if you don't find the articles to your liking! So, sit back and enjoy the last edition of the year. Crazy, right? 2019 is just around the corner! Don't forget to show some love and comment on the articles if you enjoy them! Welcome to December; this month brings in the holidays for chatters. It's an exciting and busy time for everyone. As you may have noticed the chatter is still a little quiet around the old Outpost. But don't worry come the new year things will begin to pick up again. Presently the bridge has been invaded by elves. It seems that they're busy redecorating it. They're worse than Tribbles. Tinsel, ginger bread, candy canes, and sprinkles of nutmeg are everywhere. We're hoping that the big guy, either Santa or Andrew, will clear the little guys out by the end of the month. The elves are cute but they sure get in the way of operations and they tried to gift wrap Robert! For now everyone just enjoy your time at the Outpost! Keep chatting, enjoy the holidays, have some fun, and watch out for elves. No, really, they're pains in the sugar plums. Happy Holidays and Merry Christmas from the Bridge Crew! Did you know that creative mastermind CL7 Michiel participates in Ludum Dare? If you didn't know, you do now; you're welcome. What is Ludum Dare? It's a video game challenge. If you want to learn more about it you can check it out here and here. It's really kind of impressive. What Michiel and his team do is make a game from scratch within 72 hours. Michiel handles all of the graphics which, unsurprisingly, are pretty awesome. The Ludum Dare takes place every four months. Each "event" has an optional theme to follow. This round of Ludum Dare the theme was "Sacrifices must be made". The game that Michiel and team put together went with the theme beautifully. The game they made is called "As Of Yet Unnamed". To check out and play "As Of Yet Unnamed" Click here. I've already played it a few times myself. I can tell you it's easy to play, fun, and cool. But don't just take my word for it play it for yourself! Also if you're interested in reading about the whole experience you should check out Michiel's blog posts. He posted about all three days and the work that took place. Read day one here. You can find day two here and day three here. And if that isn't enough "As Of Yet Unnamed" for you? Check out Michiel's twitter. He's tweeted during the whole process as well! His twitter is here. So if you've got a few minutes check out "As Of Yet Unnamed" and all the hard work that went in to it! And you do play it? Be sure to let Michiel know! The Fleet is well, membership numbers are staying the same with some slight increase, we're getting up there! Progress on projects hasn't seen any major improvements however there was a bump in dilithium donations for multiple special projects which is always good! If you have any questions find CL8 Mr Numbahs aka Robert (that's me) in the chat and I'll fill in the blanks! The holiday season is upon us. Everywhere you look Christmas decorations are starting to appear andChristmas commercials started the second November 1st did. Every store you go in is playing Christmas music. And speaking of Christmas music here are my top ten Christmas carol/songs to listen to this year. 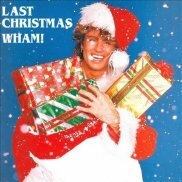 Those are my top ten Christmas songs to listen to this year. 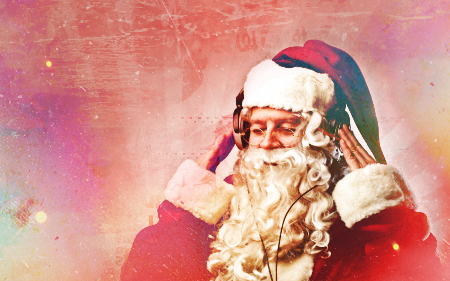 Christmas songs can really set the mood for the holidays. They're fun, festive, sentimental, and just a warm hug for your ears. 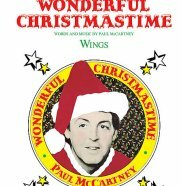 What's your favourite Christmas carol/song? Do you have a top ten? 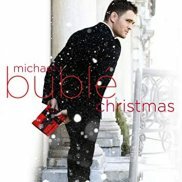 Do you like Christmas carol/songs? Let us know in the comments! November 25th was an exciting day for NASA. 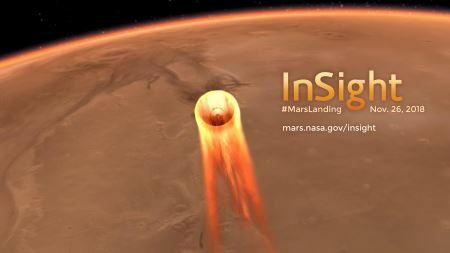 The probe InSight made it to Mars. And spoiler alert: It landed safely. InSight began its 7 month journey towards the red planet, traveling a total of 301,223,981 miles (484,773,006 km), with a top speed of 6,200 mph (10,000 kph). And that was the easy part. Mars has a history of being a difficult planet for probes. There have been 45 missions to Mars, with 23 failing, including one mission by the Soviet Union where the landed probe failed 14.5 seconds after it started to transmit. We have an easier time landing on comets than we do on Mars. Why is that though? Part of the trouble with Mars is its size. We have to travel there quickly, so we have to go fast. Then, we have to slow down. There's not much of an atmosphere; it's 100 times thinner than Earths, so there isn't much to slow us down, and parachutes are 10 times less effective. And you can't just make the chute bigger. You can't make one large enough. So you need to either use airbags, like Pathfinder did, or use rockets to slow it down even more. If one fails to activate at just the right time, boom, mission failed. For an interesting video on it, check out this video. Now, what makes this lander so interesting though? Afterall, we've sent plenty of probes and landers to Mars. Some still function. So why do we need another one? Well, this one is doing something different. This one is digging into the ground. And not just an inch to search for life. This one is digging 16 feet (5 metres) into Mars! All so that we can learn something we don't know. Something that we've been wondering. What is the inside of Mars like? How much does it wobble? How big is the core of Mars? Is it solid? Liquid? And how hot is the inside of Mars? Is it warm enough for liquid water? The good news is, NASA successfully landed InSight on Mars. They did a wonderful job, and have almost perfected the art of landing on such a difficult planet. The hardest part of the mission is over with. Now they can work on answering some important questions. The more we learn about Mars, the more we can learn about our own planet. The Oatmeal has a great comic about the InSight mission, so make sure to check it out. And of course make sure to check out the latest images as they come in! 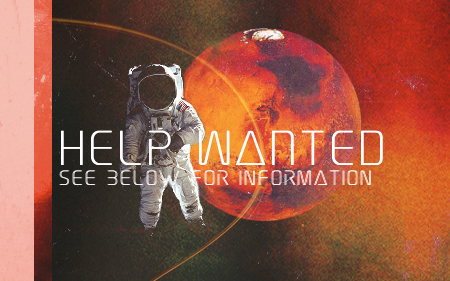 What do you think of digging into Mars? Are you as excited as I am to discover what they find out? Comment below! The funny thing about the holiday season is that it can gather people together. We gather to celebrate Christmas or just celebrate in general. Sometimes we just get together, hang out, and watch Christmas movies or have a traditional gift exchange. Some of us like Christmas carols and some of us don't. Some of us celebrate Christmas and some don't. And since Christmas is later this month I took to the updates board to find out more about what the holiday season is like for our chatters. 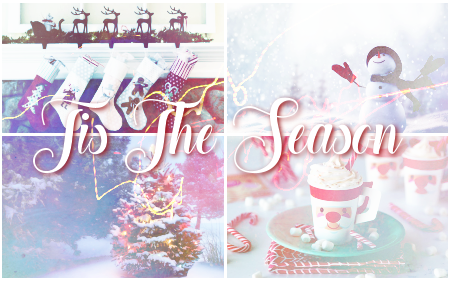 Click here to see what everyone had to share about Christmas and the holiday season! I have a few Christmas/holiday movies that are my favourites. In fact I've actually made a top ten-ish list of movies to watch during the holiday season for this issue of The Blue Report. But if I were to pick just one to answer this question? I would say Harry Potter and The Philospher's Stone. It's not technically a Christmas movie even though it has Christmas time in it. I always watch it and all the other Harry Potter movies during December. 2. 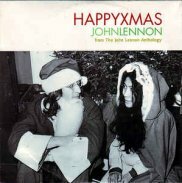 What is your favourite Christmas carol/songs? 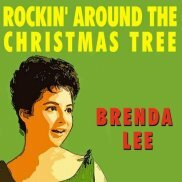 Again I actually made a top ten list of Christmas music for this issue of The Blue Report. However; I'll pick one song from that list. 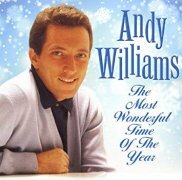 That song would be Andy Williams - It's The Most Wonderful Time Of The Year. For the last several years my sister and I have exchanged a Christmas gift the day before we celebrate. We have this like lowkey afternoon watching a Christmas movie with hot chocolate or a lunch and exchange gifts. It started as a way for us to have a nice quiet moment before any potential drama that could happen on Christmas Day but it's become something really nice to do and I love doing it. When I was about thirteen or fourteen for Christmas I wanted an astonomy book or two. Instead of getting me the books my dad got me a computer program that would let you browse through constellations, planets, and I believe a few other galaxies. The program came with a light-up globe of our night sky. It was really cool and awesome. I remember being so excited to get it and seeing how happy my dad was to give it to me. It was just really nice and a happy memory. I would either really want a working purple lightsaber or a wand from Ollivander's if it was actually a magical wand...that could do magic. Pick our Christmas tree and decorate it. Having my aunt tell me the story of how the Grinch stole Christmas. The rest of the books J.R.R. Tolkien wrote on middle earth and other books related to it (I have the lord of the rings, Silmarillion, and the hobbit). Driving around at Christmas Eve with my parents and them telling me everyone decorated their homes because it was my birthday (mine's 12/24). Its a very hard tug between ... A Christmas Carol (1999 version) or Miracle of 34th Street. Carol? None really... song though... Fairytale of New York! When we got our first games console the Amiga 1200! The Elder Wand or a Bat’leth. 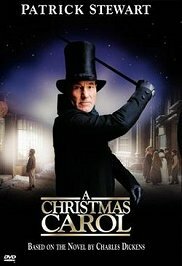 A Christmas Carol (the one with Patrick Stewart). In the Bleak Midwinter (I like the version performed by Jars Of Clay). Put on some Christmas CDs and decorate the tree. Lately though we have been going to see the Atlanta Shakespeare Company put on "A Christmas Carol". 4.a. Well what is it you ninny? Ah, to the point then. I fondly remember seeing my kids and wife enjoy their gifts. So it would be when I gave my wife a nice piece of jewelry, then there's the one when my oldest daughter used her sling shot to hit me in the forehead with a Hershey's kiss, the one where I gave my middle kid a teddy bear that was 4 ft tall and she would sit in it's lap like a chair... I could go on, but I'll stop here for now. A fully functioning and self-powered replicator from ST:TNG (It's the gift that keeps on giving). Failing that I would say spending Christmas with the Tenth Doctor roaming th cosmos in the T.A.R.D.I.S. while it is Christmas every day everywhere we go. I give my kids stuffed animals in the tree from Santa every year like my dad did for me well after I found out my parents were Santa. My dad reading a chapter of A Christmas Carol every night until he got to the end on Christmas Eve. I don't just have one.. I usually binge watch several movies and specials during December. Gremlins, The Nightmare Before Christmas, Bad Santa, Charlie Brown Christmas, Garfield's Christmas, Rudolph the Red-Nosed Reindeer. Most of the music in How The Grinch Stole Christmas cartoon, and Winter Wonderland. I actually like a lot of the Christmas music, but the older versions of the songs. Not the new remixes. Seeing my family every year. We'd meet up at my grandparents place, and we'd all have Christmas together. Gift exchange, and supper. Though about six years ago, the family started to spread out over several provinces, so we don't get together as often anymore.. My other favourite memory is not having to deal with the stress of Christmas. The food, the money, the presents haha. I need more geeky t-shirts. I need to get a few more as some of mine have started to fade or have holes, so I had to throw them out. Plus, you can never have too many geeky shirts.. right..? tbh I really don't like Christmas music all that much. Every year in school band from third grade to senior in high school, (That's ten years, for those counting), we would practice Christmas carols and then go caroling a couple of nights around the holidays. Really killed it for me. 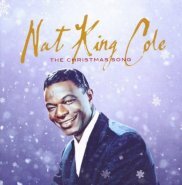 That said, Nat King Cole and the Pentatonix really know how to sing a Christmas song. Ever since I was a little boy we've gotten to open one gift on Christmas eve, which, when my mom was living, was always a new set of pajamas. That's one tradition that I've tried to carry on as I've gotten older. Now that we're in Montana, my family here always go out and eat Chinese buffet on Christmas eve, so that's always fun. In recent memory, it was last Christmas, which was the first Christmas Mrs. Brent and I had as a married couple. We were in Mexico with family, and afterwards we went on our honeymoon. It was nice. Further back, not necessarily a "favourite," but when I was younger, we were visiting our family in Montana and we'd gone out for Chinese buffet on Christmas eve (see above for the tradition thing). Well, we'd gotten the bottom of the buffet that evening, so on Christmas day we all had mild food poisoning. One of the worst Christmases I've ever had, but it was memorable. I do not have one, but I made a few! The only christmas tradition my family has is to get together and eat lots. I really don't have a favorite movie or song. I don't like hearing the songs as I hear to much in the store and from my dad playing them on his computer. 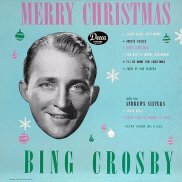 So I guess one Christmas tradition you must do is to hear my dad play classic Christmas for most of the month of dec.
4. If you could get a gift from any fandom (Star Trek, Star Wars, Harry Potter, and so on) what would you ask for? If I could get any gift it would be a lightsaber. Home Alone, Love Actually, and Elf. Mary's Boy Child / Oh My Lord by Boney M.
Making cookies, and mixing up Nuts and Bolts for the family too. One year I had Christmas insomnia. Was up all night reading a Sleepover Friends book, only slept a couple hours. When I snuck down first thing in the morning, Santa had used silver holographic paper and everything under the tree glittered. So many amazing things. The Star Wars necklace with the little planets on it is pretty cool. I also like the subtle accessories like Star Wars handbags or scarves that happen to be covered in droids. Grandma Got Run Over By A Reindeer by The Irish Rovers. Get frustrated and hide in a closet while I drink to cope. Or the perfectly acceptable after present naps. The TARDIS....a functional one of course. It was really nice of everyone to share their favourite Christmas movies, carols, holiday traditions, and most desired fandom gift! So thank you to everyone who contributed their answers. It was very much appreciated and very interesting. What's your favourite Christmas movie? What gift do you want to most from any fandom? Let us know in the comments! December is here and this heralds the arrival of the Christmas season. For many, many individuals this is a joyus time where they are at peace with their inner festive self. For many, many other people this time of the year is a stressful chaotic time. 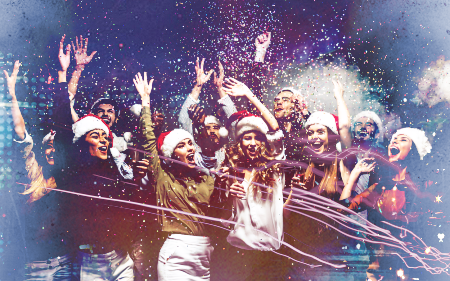 The Christmas season, or the holiday season if you prefer; signals parties, gift shopping, gift wrapping, party planning, party hosting, feast planning, feast making, and so on. Whether you breeze through the holiday season with grace or find yourself struggling? It can be a bit much. And here are some helpful hints towards hopefully maintaining your inner peace during the season. Nature and excercise; two simple but amazing things you can do for yourself. If the weather is nice? Go outside and take a walk if you can. When the hectic malls, busy work parties, and cooking Christmas dinner gets a bit overwhelming it's perfectly okay to take a break. Even just stand outside, take in some deep breaths of fresh air, and allow yourself to relax. When the stress of the season starts getting to be too much? I highly recommend sitting back, turning on some music, and sipping a warm drink. Music can be very soothing and theraputic. If soothing isn't your style? Then turn up the tunes and dance; dancing is exercise so it'll help! If music doesn't interest you try turning on your favourite movie or watch an episode of your favourite television show. Just find a way to relax that suits you best. Laughter is honestly the best medicine possible. Get some friends together, play some games, watch some movies, and have a few laughs. Or watch a half hour comedy show! Maybe watch a romantic comedy or two. Just find something that will make you smile and laugh. No matter how hard we try to make Christmas perfect? No matter how hard we work to have the best holiday party? Something can go wrong. There is no preparing for your Uncle Bob getting wasted and decided to make out with the fern outside. There's no preparing for the neighbor's pig breaking through a window and running amuck. There's only so much you can do if the store runs out of cranberries or wrapping paper. Things can go wrong. It doesn't necessarily mean they will but they can. So stop obsessing over every details and try to just enjoy the ride. Be in the moment more. Sniff the freshly baked ginger bread, taste the hot chocolate, warm the turkey sandwich, don't put that bow on the present, just relax and enjoy more. You know what makes life easier when you have a hundred things to do before that party you're planning or that big family Christmas dinner you're hosting? Help. Get yourself some elves. Recruit your best friend, your favourite cousin, that niece you adore, whoever you feel like asking as long as you ask. Delegating tasks will not only take some of the pressure off of you and make your life a little less stressful but it can be fun too. Hanging out with friends or family while wrapping presents, baking, or whatever can be a blast. And when you're having fun? You're less likely to be stressed or anxious. You've got this party and that party to attend. You also have tickets to The Nutcracker with your aunt and uncle. Your co-workers want to get together on this day or that day. You have to attend your kids school holiday concert, your niece's, and your ten nephew's concerts. You still have to shop, wrap, and cook. It's too much. No ordinary person can manage all of that completely stress free. So draw a line and say no. It's okay! Your friends, family, and co-workers will understand as long as you aren't a jerk about it. They are more than likely going to understand that you need to slow down, de-stress, and enjoy the holiday season more. Too busy to go for a walk? Don't have time to watch a funny movie? No chance to dance? Then treat yourself! While you're Christmas gift shopping; buy yourself a little something. Or when you're baking for the holidays? Bake yourself some cookies. Too busy with everything to take a moment and treat yourself while shopping or baking? Get some take-out. Do whatever. Just reward yourself for working so hard to make the holidays special for your loved ones. This holiday season is known for causing more than stress and anxiety. It can also cause depression. If you find yourself feeling overly stressed, extremely anxious, or depressed it's okay to seek help. Ask a friend for assistance with your to-do lists or for a chat. Ask a family member for help doing things or for a chat. If talking to a friend or family member doesn't help it's perfectly okay to seek professional help. And the final suggestion I have for you to help combat stress and anxiety? Grab a drink, turn on your computer, and drop in to OTF. Spend some time with your friends there! Have a friendly chat! We're guaranteed to get a little weird and make you laugh. Do you have any suggestions for dealing with stress over the holidays? Feel free to leave them in the comments! Krampus is coming to town. I have no idea how I've never heard of Krampus until just a few days ago. He's a Central European horned half-goat, half-demon who punishes children who have misbehaved at Christmas. He's the opposite of Santa Claus. He is said to have the hooves and horns of a goat, a long pointed tongue, fangs, to be very hairy, and carries chains and birch sticks to whip children into shape, along with a sack to carry children away. How have I not heard of him before? Anyways, thanks to CL5 Nathalie, I did some reading up on Old Saint Nick's evil brother. 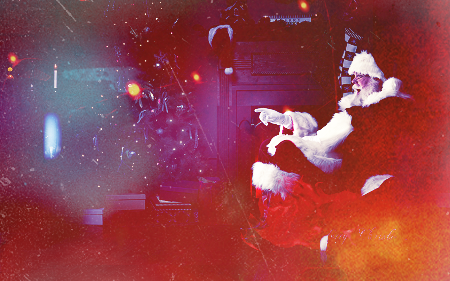 Santa gives out presents to the good kids, while Krampus gives out the coal or a silver rod to the bad kids. He's also said to carry the children away with him. He is often pictured in different ways. Some of the more isolated areas of Europe have him as being rather fearsome, while more tourist-friendly places have him as being humourous. But generally the story goes that he hauls bad children down to the underworld and is the son of Hel in Norse mythology who rules over the Realm of the Dead. He's part of a centuries-old Christmas tradition in Germany. He shows up the night on December 5th which is known as Krampus Night. December 6th is St. Nicholas Day. The tradition has changed a little, where men dressed as devils in Austria, Germany, Hungry, Slovenia and the Czech Republic and chased people through the streets. Though the tradition was actually suppressed for a number of years during World War II, he's making a come back recently. Krampus parties are becoming more and more popular in the United States. Will you be getting a visit from Saint Nick this Christmas? 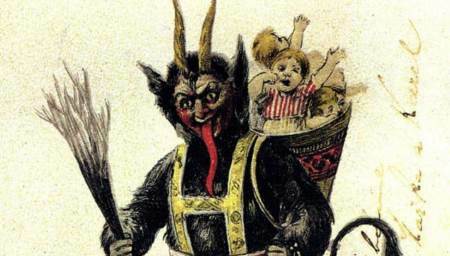 Or will Krampus be coming to drag you to the Underworld to whip you? Let us know, while you still can! As you may have noticed it's December now and the year is nearly over so the holiday season has begun. Not only has the holiday season begun but the celebration of Christmas will soon take place. Which means an increase of Christmas commercials, Christmas music, ugly Christmas sweaters, Christmas movies and so on. But I'm not here to talk about commercials, sweaters or music! I'm here, with this article, to talk about movies to watch this holiday/Christmas season. Shall we get right in to it? 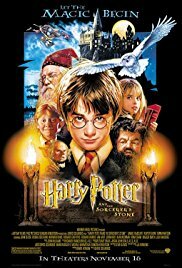 Are any of the Harry Potter movies directly Christmas/holiday movies? No. Harry Potter does feature Christmas more than a couple of times either directly or indirectly. However; for me personally I connect the Harry Potter series to Christmas time because that's originally when they would come out to the cinema. Near the end of November or some time in December. As a result they have become a holiday movie staple for me. Love Actually is a cheesy feel good movie about finding love. Conveniently finding love right before Christmas so there will be mention of Christmas carrolers and pageants. It's not directly a Christmas movie but it does have a Christmasy feel to it. 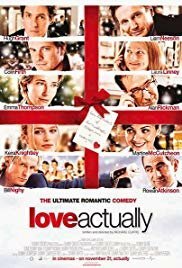 So it's super easy to sit back, eat that popcorn, and feel a little of that Christmas time happiness while watching an assortment of characters find love. Two words for you! Happy. Ending. This movie starts out rocky. Love is ending all around our two lead female characters. Both of their love lives are in shambles so they both take the natural course and go on a holiday. But not just any holiday. 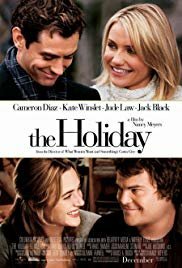 The Holiday that leads them both to finding true love and happiness just in time for Christmas. 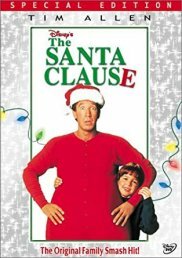 After a mishap results in a young girl not getting her Christmas present Arthur Claus, Santa's clumsy younger son, goes on a nearly impossible seeming mission to bring her that present! This movie is cute, funny, and delightful. 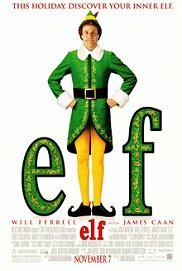 If you enjoy Christmas movies and funny movies? I definitely suggest this one. And if you love British accents? It'll be perfect for you. 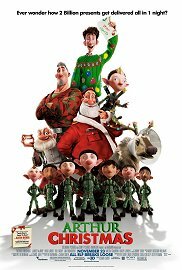 My favourite character in Arthur Christmas is an elf named Bryony Shelfley; she's very sassy and efficient. 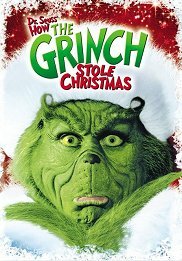 Tim Allen's take on the jolly guy in the suit? Hilarious! Inappropriately hilarious at times but still funny. With mishaps involving divorce, the police, burnt Christmas dinner, and reindeer The Santa Clause is a must around Christmas time for me. And if I have the time I always follow up with number 2 and 3 of the trilogy. I'm not the hugest Jim Carrey fan, however; I really loved his version of the Grinch. He was funny, miserable, sarcastic, and very easy to hate. But also very easy to love. You couldn't help feeling a little sorry or sad for him. And you definitely get that warm happy feeling for the Grinch at the end. Everything about any Grinch movie is Christmas worthy. Elf is cute, charming, and funny. It's more of a children's movie. But adults can enjoy the feel goodness of it. In a pinch for a light hearted Christmas movie that's more silly than anything? I'd grab Elf. The version I am partial to is the made for TV movie with Patrick Stewart. First off; it's Patrick Stewart. P-Stew is amazing and he is my Captain. Being a TNG fan girl I'm somewhat morally obligated to prefer the Patrick Stewart version of A Christmas Carol. But moving past that, Patrick Stewart is an amazing actor and offers a quality performance as Ebenezer Scrooge so if you can find a copy of this version? Do it. Or watch The Muppets version. A Christmas Prince is basically a rom-com that takes place at Christmas time. It involves a reporter on her first big story and a Prince. The story pretty much writes itself from there. It's cute, lovely, and fun. 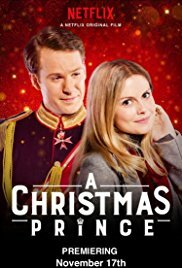 If you enjoy rom-coms and don't mind that it's fairly predictable I suggest checking out A Christmas Prince this holiday season. Oh! But I should mention that Alice Krige, aka the Borg Queen, is in it! I happened across Saving Santa a few years ago. I watched it once and loved it. It's a cute underdog story about an Elf who wants to move up in the world but he's clumsy and fumbles about doing it. 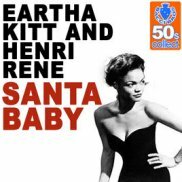 Somehow he finds himself in the key position to save Santa one Christmas. 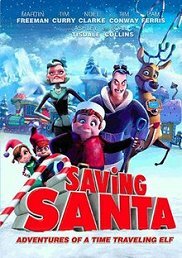 With a bevvy of voice actors from Tim Curry to Martin Freeman Saving Santa has a wonderful cast. And would actually be my top pick out of this list if I could only watch one of these movies this year. Okay. Again not really a Christmas movie. 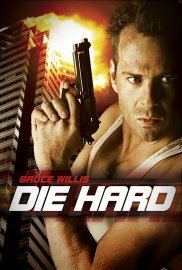 But the first Die Hard takes place during Christmas so it's basically a Christmas movie. And honestly this list wouldn't be complete without Die Hard on it. Die Hard is awesome. It's an action movie full of explosions and it's all around bunches of fun. So if you don't want to watch a Prince fall in love at Christmas, an Elf save Santa, or anything cute? Watch Die Hard. You won't regret it. That pretty much wraps up my movie suggestions for this holiday season. With luck I'll be watching at least three of these movies. If I have the time I'll watch more! Have you seen any of these movies? Will you watch any of these movies? Let us know in the comments. Lara Croft goes on a journey to the Island of Yamatai to solve the mystery left to her by her father after his disappearance. Upon arriving and being shipwrecked on Yamatai, Lara is taken captive and has to escape and then fight for her survival and figure out what is going on. What I liked: I liked a lot of different things about this film. I was happily surprised actually. The cinematography is great with some truly gorgeous landscapes to look at as the film progresses. As far as the effects go: the film is pretty good; not too heavy on the CGI. The makeup and costumes were fantastic and I loved the soundtrack. Lara's occasional wittiness was fun and enjoyable. The action scenes were choreographed and shot very well. There were also scenes that referenced the 2013 game. What I Didn't Like: There were really only one or two things that I didn't like about Tomb Raider. First off, let's talk about how they paced the film. It started off slowly but then within the first 20 minutes or so it became a race to the finish which kind-of makes sense, but there was very little buildup to any of the confrontations or decisions that were made by the characters in the film. Lara Croft has a few off moments here and there but manages to get through mostly unscathed... sort of, and you found yourself wondering how that happened. It's Movie Magic, and sometimes you just have to go with it. 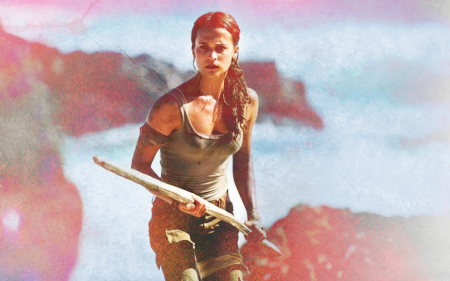 Alicia Vikander is a perfect fit for playing the roll of Lara Croft. She's got a good sense of humor and brings a level of physicality to the role which I think the previous films somewhat lacked. I thought this was the best Tomb Raider Film, and do hope that there will be a sequel. What are your thoughts, have you seen it? What did you think? Let us know below! Have you heard of a little show called The Orville? If you have or even if you haven't? You're about to! The Orville is the science fiction show you didn't know you needed in your life. I would dare say that it's the "modern" Star Trek that you wish you had. Why? 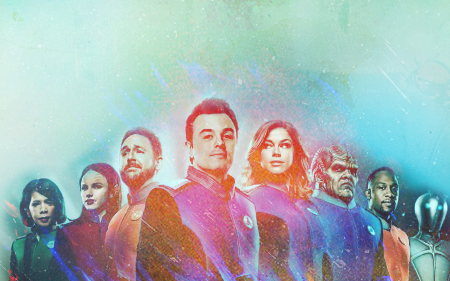 Because The Orville is basically awesome. It is surprisingly clever, funny, and brilliant. The Orville is a sleek looking ship. She looks like she just might be a leaf on the wind. Or a fancy little knife. Either way the ship soars through the space and looks pretty the entire time. The Orville is pretty darn funny. There are a lot of obvious jokes that may or may not having you roaring with laughter. And there are many jokes that may leave you going, "Wait. What the heck did Gordon just say?!" Or Ed, or Kelly, or Alara... You get the point. It's funny. In the first episode you might find yourself thinking, "None of these characters have any chemistry and I just can't see them working together." Then you'll quickly find yourself changing your mind. Ed and Kelly are the mircale team of command leading the ragtag group. Malloy and LaMarr are the long lost brothers from different mothers. Bortus and Dr. Finn are the subtle guardians of the group. Alara and Issac are the kid siblings that the others kind of wants to protect. The Orville has had a handful of cool guest stars in the first season. They had Charlize Theron, Victor Garber, Kelly Hu, Rob Lowe, and Liam Neeson. Season one even features a familiar Star Trek face; Robert Picardo! And rumour has it that season two will have even more familiar faces from Star Trek in it. The Orville storylines vary from light and funny to serious and a little dark. You could easily say that the show doesn't take itself seriously at all but you would be wrong. Several of the episodes actually tackle serious real life issues such as racism, discrimination, and genocide; to name a few issues. The writers of The Orville know how to craft an episode that could easily be very dark without going too far and still keeping some of that humour to the episode. Just think "space vampires"; if you watch The Orville you'll know what I mean. If you don't watch The Orville you're going to have to in order to understand "space vampires". He's a wicked little green dude. A little green dude that talks and is made of goo. A green gooy wicked dude. Why is he a reason that The Orville is awesome? Well, think about it, it's talking jello that's a pervert! How is that not hilarious and awesome? Yaphit cracks me up. If that's not enough examples of what makes The Orville awesome then I don't know what else to tell you. Sure The Orville isn't for everyone but everyone should try it. At least give one episode a chance! Maybe give it a chance soon because season two is coming soon and by soon I mean December 30th. And if you're interested in knowing more about season 2? Check out the article by Mashed Potatoes! Will you watch The Orville? Do you already watch The Orville? Let us know in the comments! This is mostly a reminder that on December 30th, Star Trek The Orville returns for a second season. Below are a couple of trailers for season 2. Click here for the trailers and some possibly spoilery news! There will be some familiar faces to Star Trek fans; TNG's Marina Sirtis and VOY's Robert Picardo will guest star, while Jonathan Frakes and Robert Duncan McNeil will be returning to directing episodes. Other guest stars include Chris Johnson of 47 Meters Down while Jessica Szohr of Gossip Girl is joining the cast as a regular. Last season was cut down to 12 episodes from 13 with the 13th episode appearing in Season 2. Seth MacFarlane has said that there will be 14 episodes. He'd rather have fewer good quality episodes, than more episodes that just have filler. The new season of the Orville might not have aired yet, but the ship did guest star on The Simpsons during the Treehouse of Horror XXIX, so check it out. Are you looking forward to season 2 as much as I am? Do you consider the Orville a comedy? Let us know! Another Short Trek is coming out, December 6th, 2018. This one is about Saru (Doug Jones) on the Kelpian homeworld of Kaminar. We will be getting to learn a bit more about this new species. By the looks of it, they are a religious group. They see death in the stars, so it seems like not many Kelpians have an interest in leaving their home. So it will be interesting to know why Saru looks up at the stars with curiosity. Hopefully this Short will help answer a few questions about Saru and his people. It's always fun to learn about new species. "The Brightest Star" (Thursday, Dec. 6) - "Before he was the first Kelpien to join Starfleet, Saru (Doug Jones) lived a simple life on his home planet of Kaminar with his father and sister. Young Saru, full of ingenuity and a level of curiosity uncommon among his people, yearns to find out what lies beyond his village, leading him on an unexpected path." 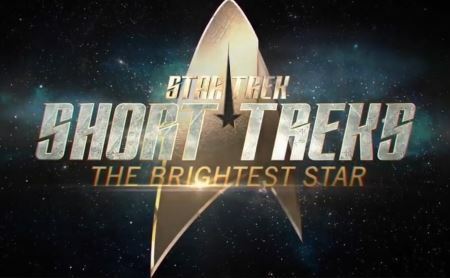 The Brightest Star airs on December 6 on CBS All Access (9:30PM ET) and Space (9PM ET). There is however no word once again on viewers outside of the United States or Canada. What would you like to know about Saru's world? Are you looking forward to seeing this Short? Comment below! 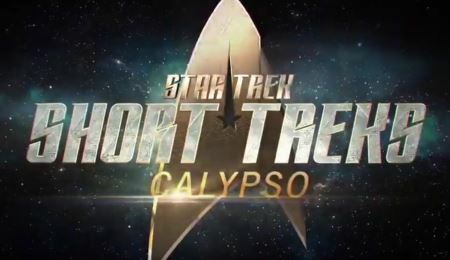 For those of you in the US, or in Canada, you were able to watch Star Trek Calypso, either with CBS All Access, or Space. For those in you else where in the world.. well.. Maybe someday you'll have access to them.. Unlike the first Trek Short, I actually enjoyed this one for the most part. It was longer than the first one, 18 minutes, so it had enough time to actually do something, without it being rushed. It was the length of a typical B-Story in Star Trek. Set 1,000 years in the future, Craft is in an escape pod, and ends up on the U.S.S. Discovery. The ship seems to have undergone a few upgrades since. Now equipped with AI, with a woman's voice. The ship seems to have been abandoned for some time too, so the AI is lonely. Though she's not the only lonely one. Her visitor, Craft, is lonely as well. Having just escaped, he's been without his wife and child for a number of years. So long in fact, that he almost falls in love with the computer. They share a bit of a connection. But not enough for him to forget about his family. The episode starts off a little creepy and spooky, then gets nice and warm as they warm up to each other. And then becomes sad when he leaves the AI to go after his family. I actually feel bad for her at the end when she's once again left alone. The episode leaves a lot of questions unanswered. There's no mention of anything Star Trek really, other than the ship being the Discovery. There are no answers as to what happened to the Federation, why the ship was abandoned, does he find his family? It's a bit of a change from most episodes where there are generally questions that get answered in the 43 minutes. Or if not, you know they most likely will sooner or later. But with this being a standalone short, who knows if they ever will be? Overall, I was very pleased with this episode. And I was pleased to know that the writer will be working on other episodes as well. He's one of the writers for the Picard mini-series. The directing was great as well, and so was the acting. I do hope that more of the Star Trek Shorts are like this one. What did you think of the Short? Are you looking forward to others? Let us know in the comments! Check out What a Whimsical Life! It's the lifestyle site of our very own Jadzia Jaxx. It features her blog where she talks about family activities, her bearded dragons, and more. Jadzia's site currently expanding but you're more than welcome to check out What a Whimsical Life over here! Do you ever want to read news about a television show or movie, but you just don't want to have to go looking for it? Don't worry about it! 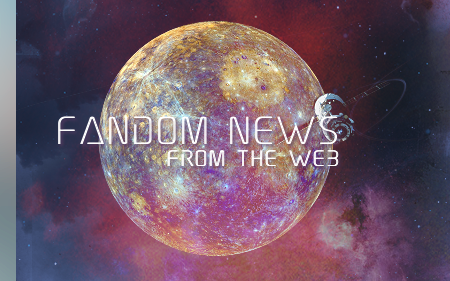 CL5 Missy has you covered with her monthly fandom news links! Hopefully, there's something for everyone! Remember, some news links may lead to spoilers. Well that's it for Fandom News this month! Did you see anything interesting? Are there any shows, movies, games, books, etc. that you would like to see news from? Let us know in the comments! The deadline for submissions is the 30th of every month. If you have any question about The Blue Report please feel free to e-mail Leslie or Carol.